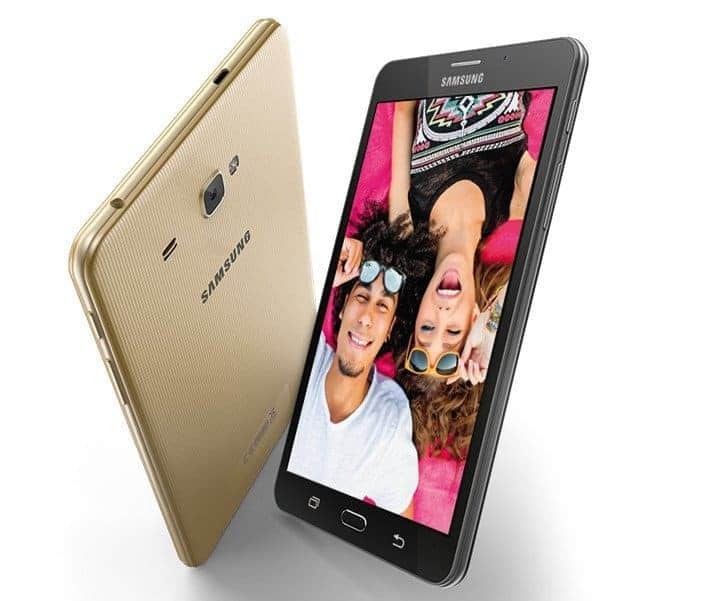 Samsung has finally released its 7inch Phablet “Galaxy J Max” and started the 7-inch Phablet war. The phablet launched in India for Rs. 13,400 and the smartphone is powered by a Quad-core 1.5GHz processor. The new Galaxy J Max is a line up to the Galaxy J series & is measures about 186.9 × 108.8 × 8.7mm and its comes with 1.5GB RAM and 16GB expandable internal memory. When it comes to battery, Galaxy J Max is packed with a large 4,000mAh battery; however we are not sure whether if 4,000mAh is sufficient to power this massive 7-inch phablet. Coming to the camera segment, the Galaxy J Max from the South Korean tech giant features an 8MP rear camera and a 2MP selfie shooter. It runs the dated Android 5.1 Lollipop out of the box and is expected to receive the Android 6.0 soon after its release. The Galaxy J Max also comes with a Bluetooth headset in the box to help you make calls. The connectivity in J7 Max offers 4G, VoLTE, and dual SIM. Other features like Ultra Data Saving and S Bike mode are supported. The other important question about J7 Max is the price. As mentioned earlier this 7′ inch phablet is launched in India for INR 13,400. It is available in black and gold color options and it is expected to launch in Indian market by the end of July 2016. Anyhow, the big news here is- Samsung has officially started the ‘Phablet war’ and we have got many questions like what is the main reasons behind this launch & why Samsung did it only in India first. Will the users feel comfortable while using a 7′ phablet? how successful these phablets in near future? Well, We are coming with an interesting article to cover all these common questions or in this case, the myths will be busted soon. For now, we feel the Galaxy J Max could be an experiment model as Samsung likes to experiment on big screen sized phones. Feel free to drop your comments on the same.